TEEMCO may be out of business but its former CEO Greg Lorson is far from out of the woods. OKCTalk has learned Lorson is being investigated by multiple government agencies for possible tax and business fraud, embezzlement of charitable donations and numerous other crimes. Several former TEEMCO employees have been interviewed by the Criminal Investigation unit of the Internal Revenue Service, the FBI and representatives from other government entities. According to those familiar with similar cases, investigations involving multiple issues across various government departments often take 1 to 3 years before it is determined whether indictment should be brought. Often, a joint task force is created and all charges – if any – are submitted to the district attorney at one time. 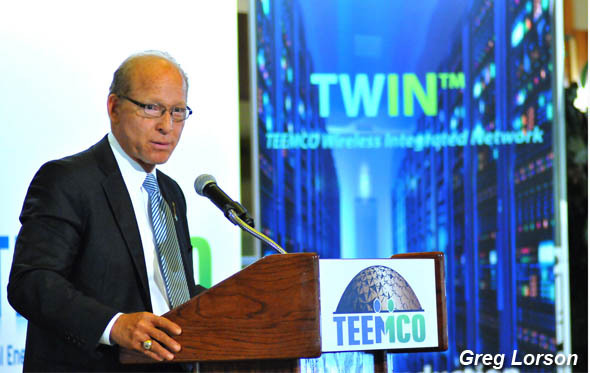 In May of 2015, TEEMCO was closed by the Oklahoma Tax Commission and never reopened. Soon thereafter, the company was evicted from their Edmond offices and Lorson was forced from his residence for non payment of rent. In March, the Oklahoma Tax Commission filed a lien and tax warrant against TEEMCO and Lorson in the amount of $509,149.27 for unpaid state wage withholding taxes through June 30, 2013. This particular lien is only for the first 3 years of Oklahoma state withholding taxes but as OKCTalk had previously reported, TEEMCO and Lorson allegedly never paid any of the federal or state withholding taxes over its 6-year life, an amount totaling in the millions before interest and penalties. Failing to forward withholding taxes is a serious crime often resulting in extensive fines and prison time. In April, Lorson was to appear in court regarding possible eviction for overdue rent for the home he leased immediately next door to his previous residence. Lorson filed for Chapter 7 bankruptcy at 9:40AM that Monday; the eviction hearing was to be held at 10AM the same day. Law provides for an immediate 30 day stay of eviction from a primary residence when bankruptcy is filed. In the filing, Lorson lists his debts as $100,000 to $500,000, yet court records indicate current legal judgments against him alone amount to be over $1 million. In addition to the legal filings, TEEMCO and Lorson owe millions more to creditors of all types for unpaid endorsement deals, vehicle leases, insurance premiums, property rent, attorney fees and various other bills. In his bankruptcy application, Lorson listed his assets as $130 in cash, with total monthly expenses of $2,000. He also stated he is currently unemployed with no source of income. Lorson's landlord quickly filed to remove the stay from eviction, citing months of back rent and no ability to lease the home while Lorson continued to occupy. The court ruled in favor of the landlord and Lorson is once again facing eviction, owing $5,250 to the property owner. Bankruptcy does not provide protection from past or future tax liability. From to 2010 to 2015, TEEMCO employed dozens of internal and field salespeople who solicited business in the oil patch, primarily well owners who were required to be in compliance with federal and state statutes regarding safety and environmental issues. One of the company's biggest sellers was a so-called “spill plan”, which outlined a course of action in case of oil leakage at a well site. TEEMCO marketed several automation and software tools and sold spill plans and related services to well owners who often made full or partial payment in advance. In return, TEEMCO contracted to deliver documentation and provide monitoring and service and materials in case of a problem at the well site. TEEMCO inherited a number of clients when it acquired the assets from its predecessor Wellstar, a company that had employed Lorson before entering into an agreement to sell to him in full. A pending lawsuit claims that after taking control of Wellstar's assets and client base, Lorson never paid the previous owners and in fact stopped payment on checks he had given them. According to former employees, TEEMCO often did not supply the services for which it had received payment, or did not fully deliver what they had promised through contract. Employees in change of TEEMCO software development told OKCTalk that virtually none of the tools were functional and were at best prototypes that never approached the claims promoted by the company on its website and marketing materials. In 2014, Edmond-based TEEMCO rose to prominence when the previously obscure company signed large endorsement deals in rapid succession with the Oklahoma City Thunder, The University of Oklahoma, Oklahoma State University, KWTV, the Myriad Gardens and Remington Park, among others. The company also held a large press conference announcing it had purchased the historic Gold Dome building in Oklahoma City's Uptown area, with plans to renovate and occupy as their headquarters, complete with the world's largest salt crystal lamp. All of these deals soon collapsed as did the company, leaving unpaid employees, massive debts and numerous legal problems in its wake. Greg Lorson has twice spent significant time in prison, most recently serving a 6 year term at the Federal Correctional Institution in El Reno for conviction on multiple counts of fraud, money laundering and other crimes. After being released from incarceration, Lorson almost immediately encountered more legal difficulties involving a failed real estate development deal near Guthrie, where one of his partners was a convicted drug manufacturer and dealer. The former controller and main administrator of TEEMCO finances, Mike Dixon, had met Lorson while in prison where he himself was serving time related to an embezzlement scheme in Kansas. Lorson claimed to have fired Dixon from TEEMCO for embezzlement in 2014; Dixon claims he left voluntarily due to disagreement with Lorson over the company's financial dealings. One of the founding members of TEEMCO, Thomas Bierd, pleaded guilty in September of 2015 to embezzling hundreds of thousand of dollars from the Citizen Potawatomi Nation in Shawnee. OKCTalk's investigation of TEEMCO and Greg Lorson is on-going.